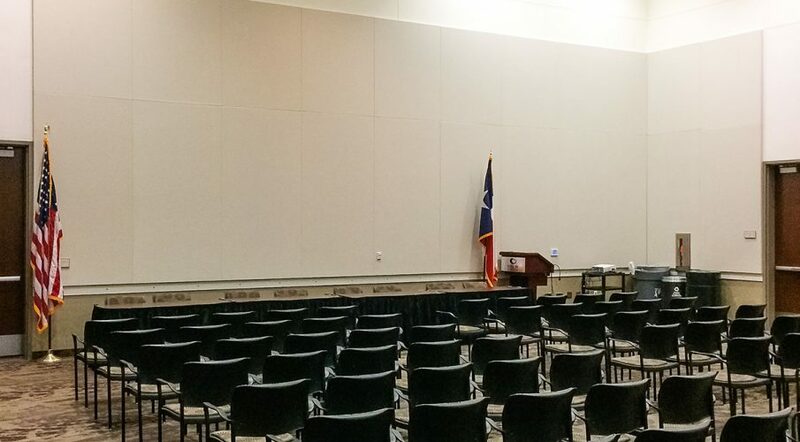 The Collin College Preston Ridge Conference Center contacted Acoustical Solutions for an evaluation of their room acoustics. 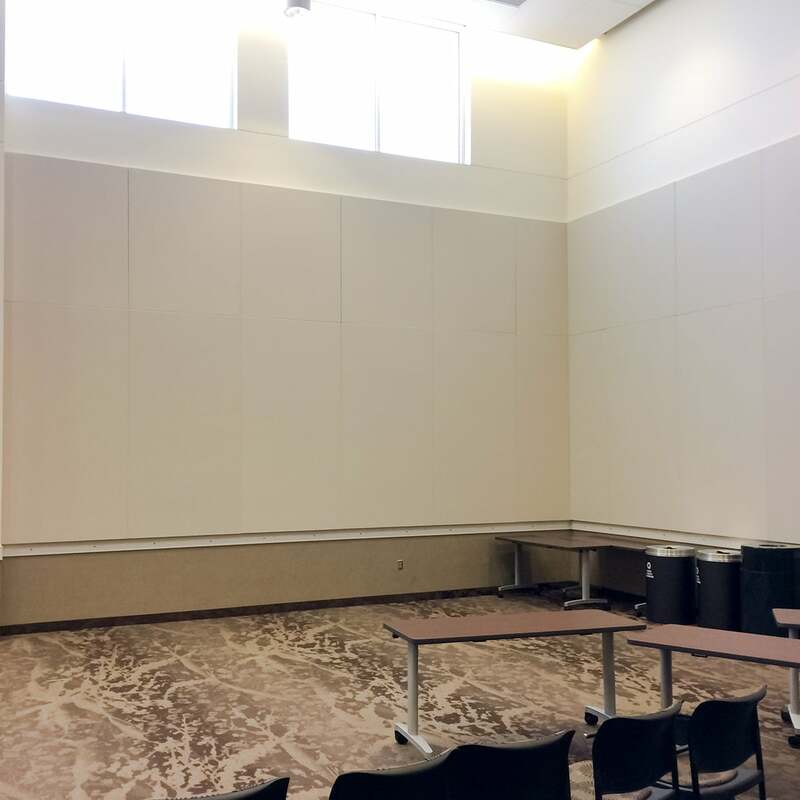 The facilities management team was looking to confirm their engineer’s findings to ensure they were going down the correct path for acoustical treatment. 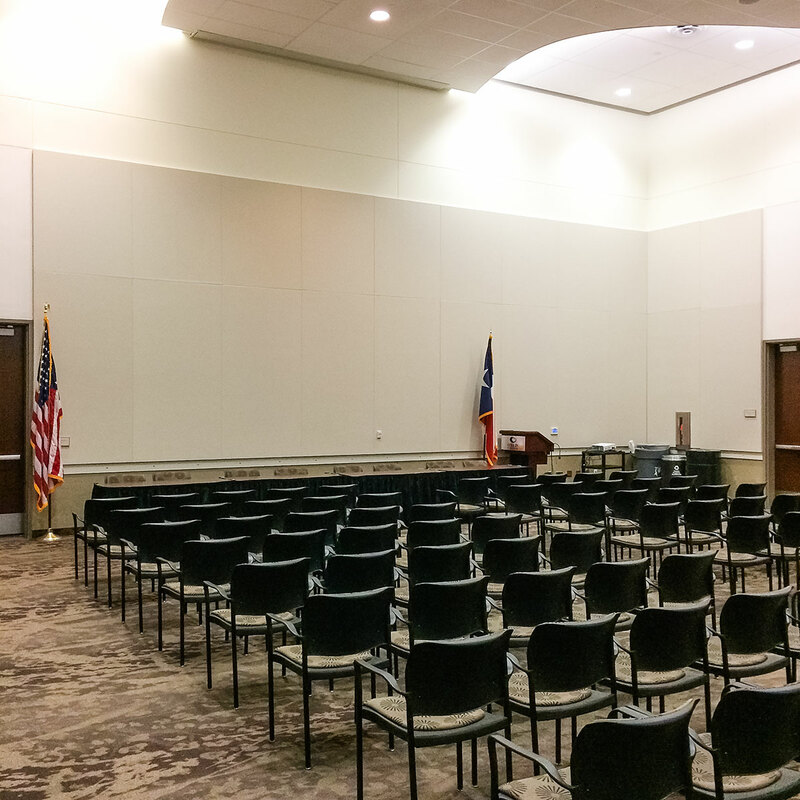 The Preston Ridge conference center at Collin College provides conferencing facilities, meeting rooms, lecture halls and classrooms. 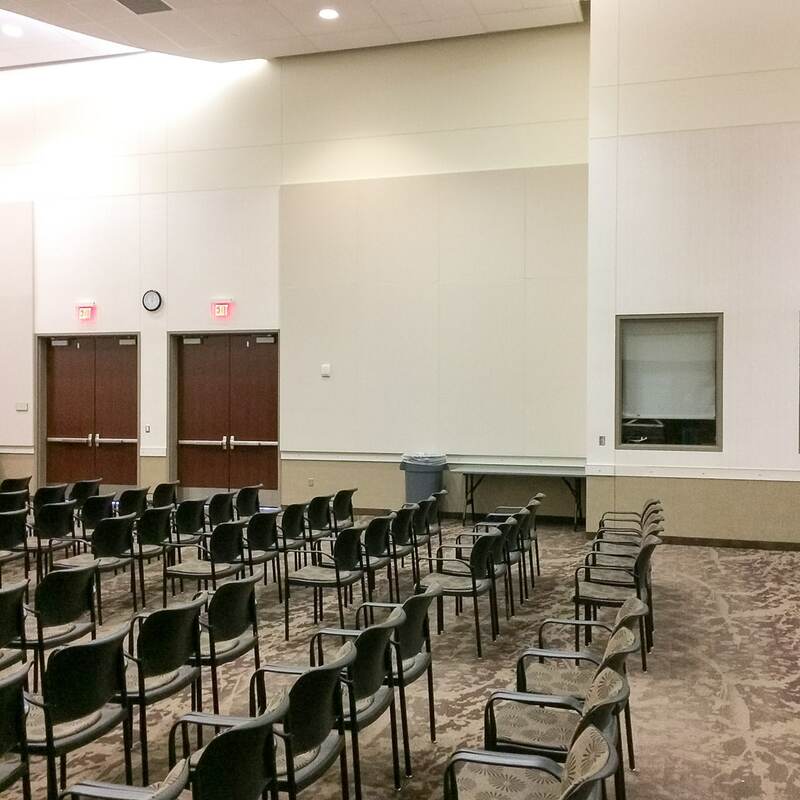 The space is available for use by a range of businesses and organizations. 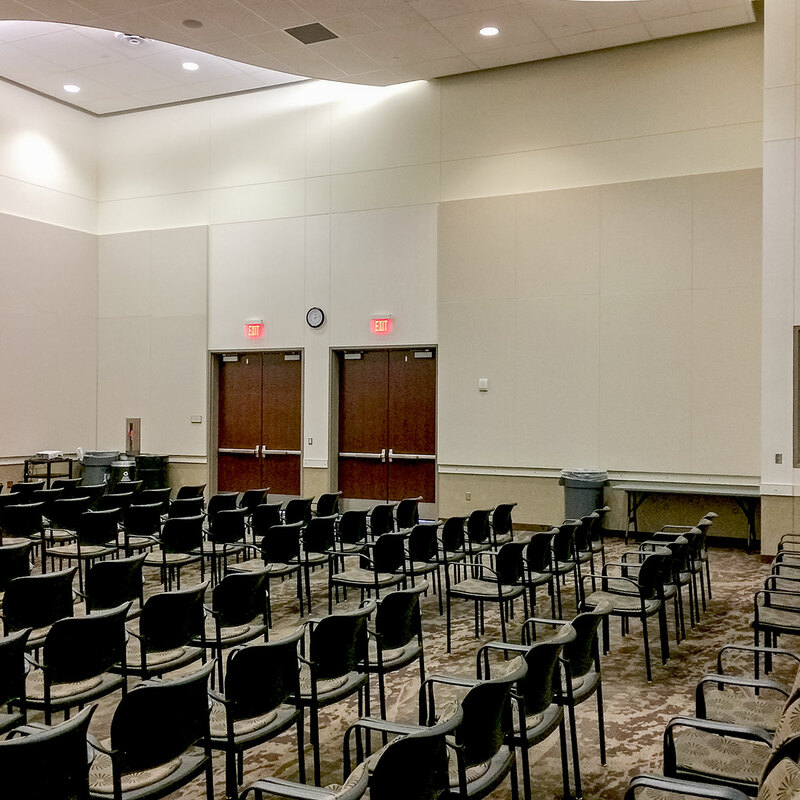 Events held at this conference center include events that require audio video equipment for presentations where audio quality is of concern. 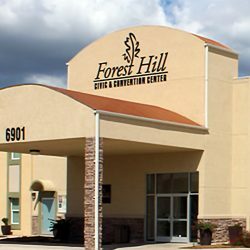 The 8,500 sq. 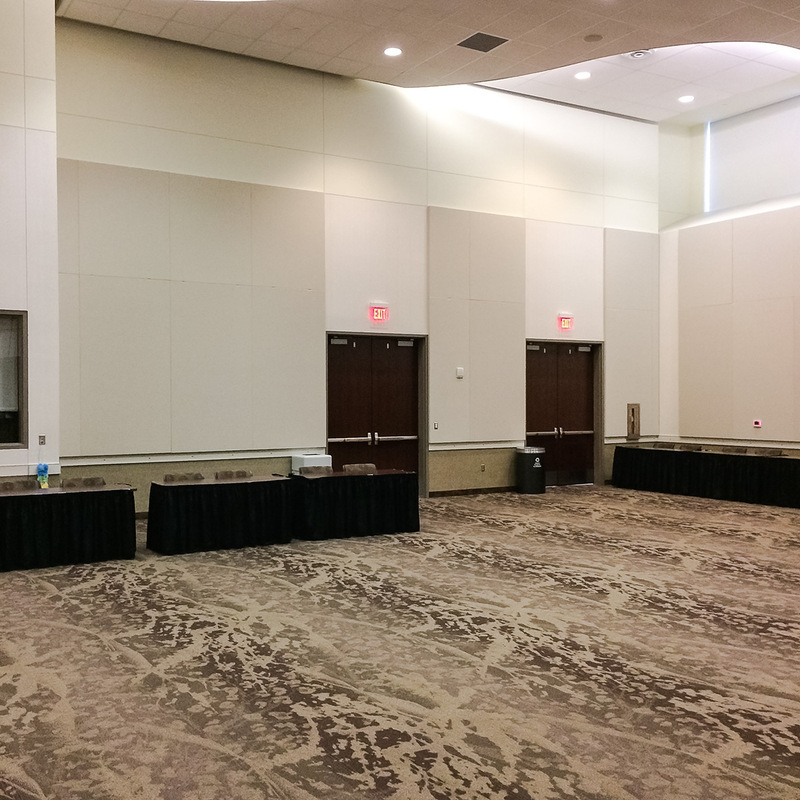 ft. ballroom houses a 23-foot high ceiling with an incredibly high reverb time. 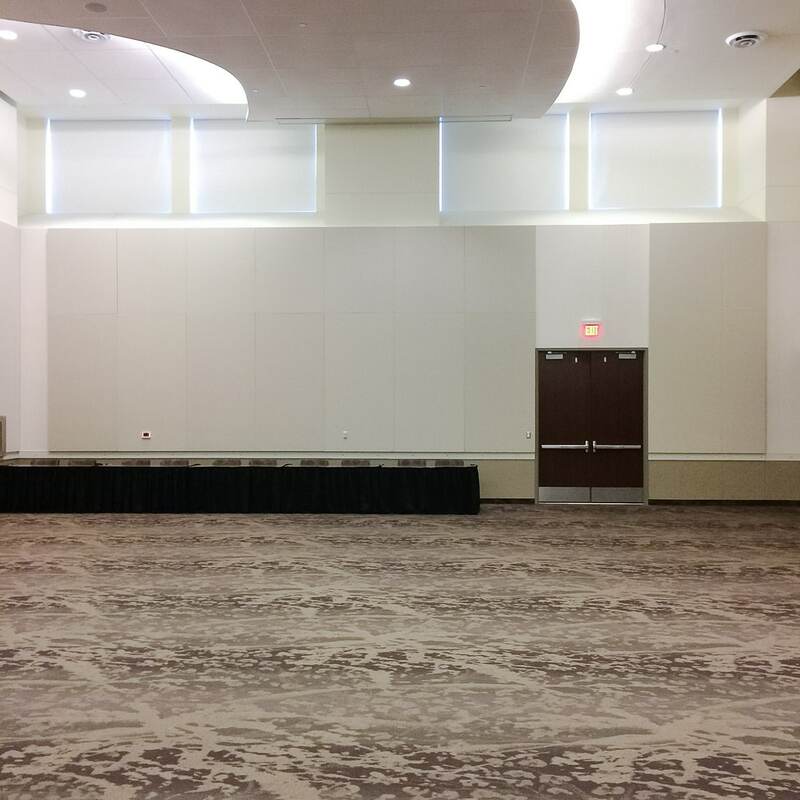 Due to the high reverb time, holding an event there was nearly impossible. 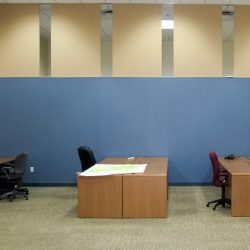 The noise level was also so high that any kind of communication was extremely difficult. 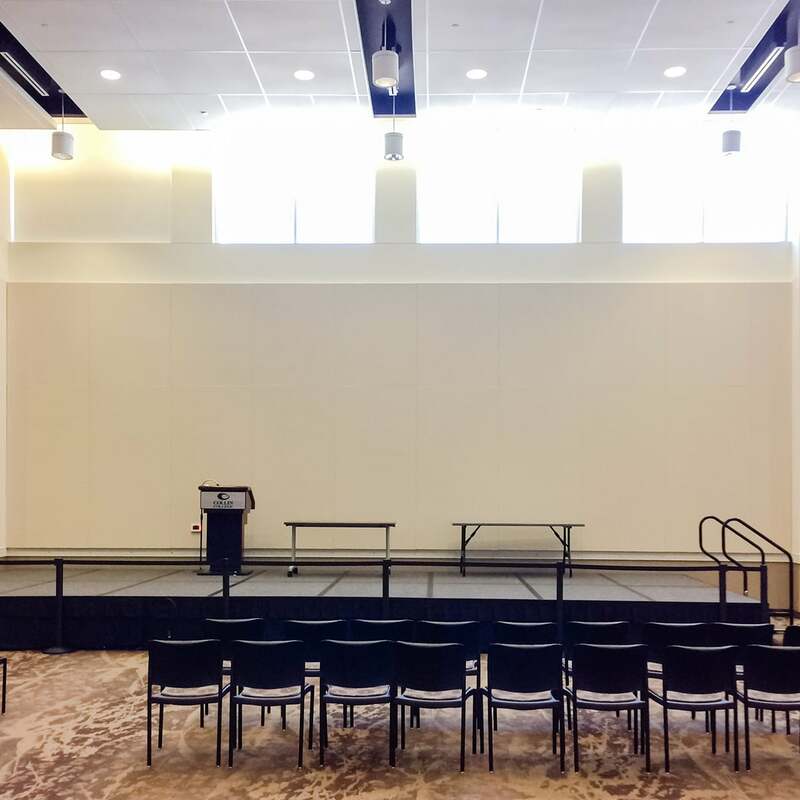 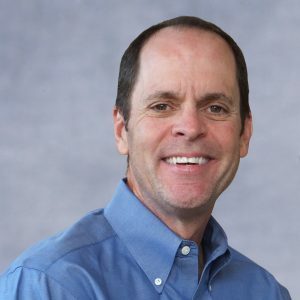 This large conferencing center required approximately 3,800 square feet of fabric wrapped acoustical material to correctly address the sound issues in this space. 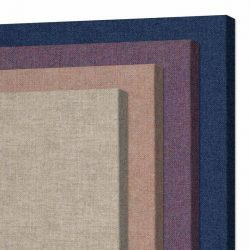 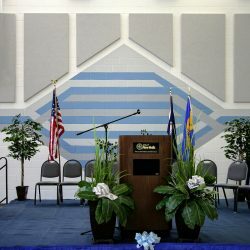 A series of two-inch-thick AlphaSorb® Acoustic Panels now wrap the inner walls around the entire perimeter of the room. 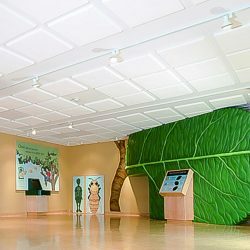 Two rows of AlphaSorb® Acoustic Panels comprise the acoustic treatment. 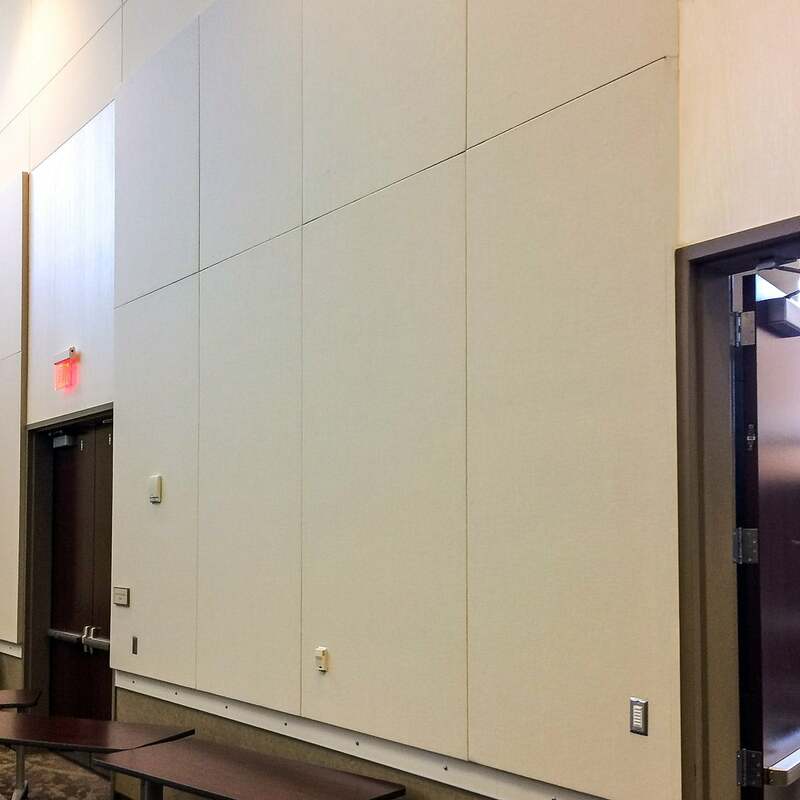 The bottom row is made up of 4′ x 8′ panels and the upper row is 4′ x 5′ panels. 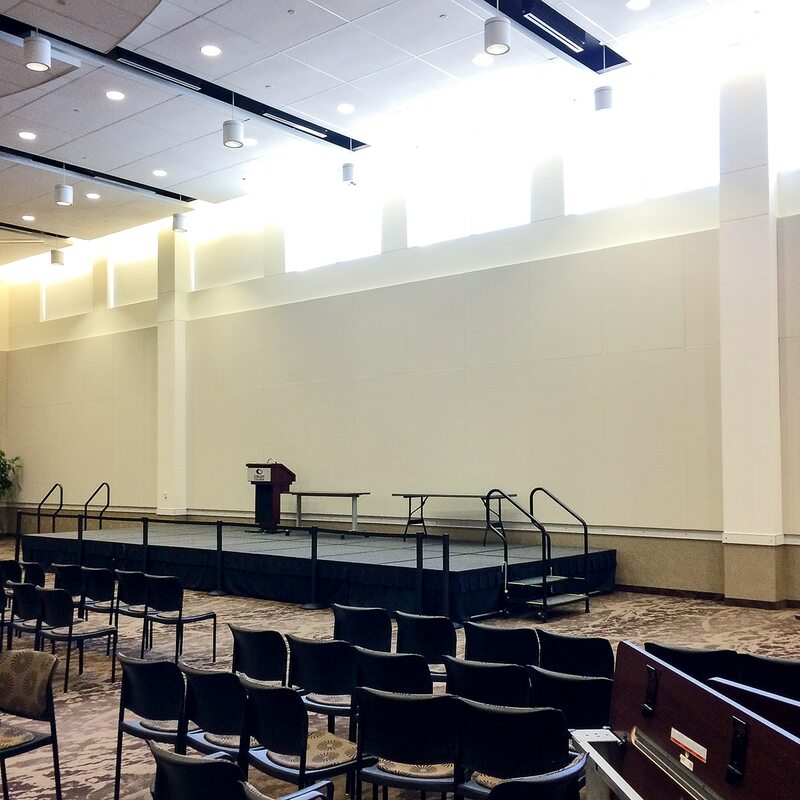 The Facilities Management Team and Executive Cabinet couldn’t be happier with the results. 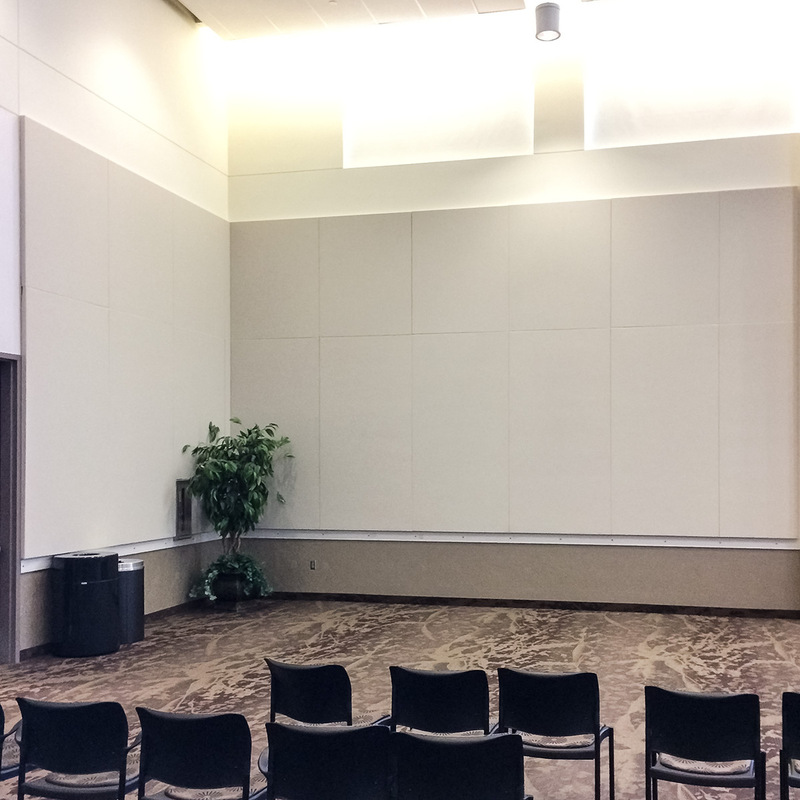 The acoustics have vastly improved, which increases and expands potential uses for the space.